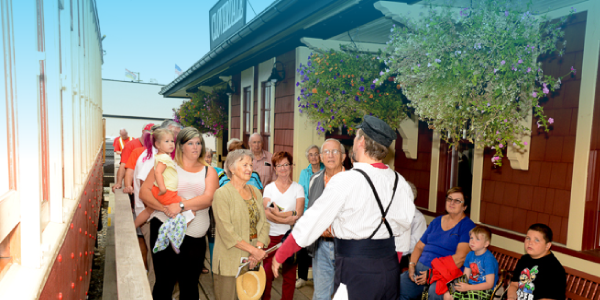 Fraser Valley Heritage Railway Society invites you to come with us on a journey back in time. 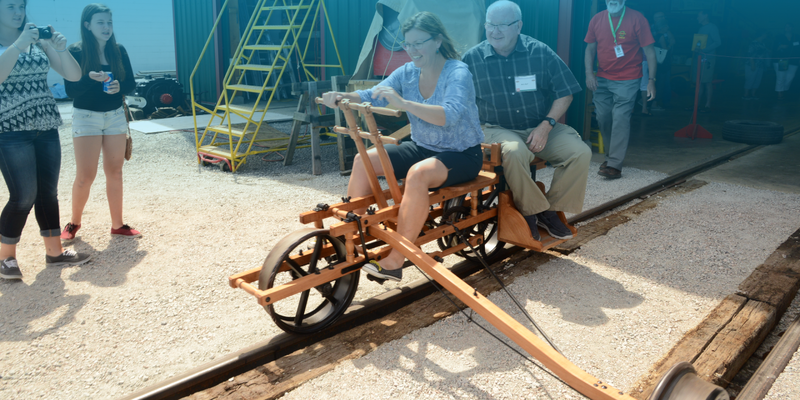 Ride the rails and experience those times that helped shape our region into what it is today. Ticket may be purchased at the Cloverdale Station. Go to our Ticket Information page for more details. 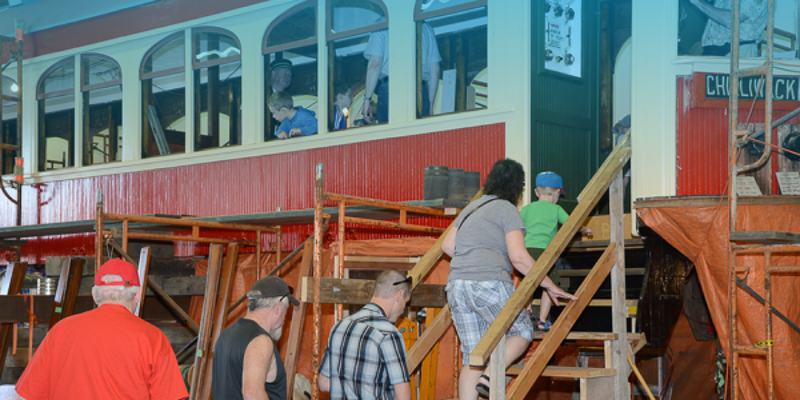 Take a ride on BCER 1225, our restored interurban railcar, running on the weekends throughout the summer. 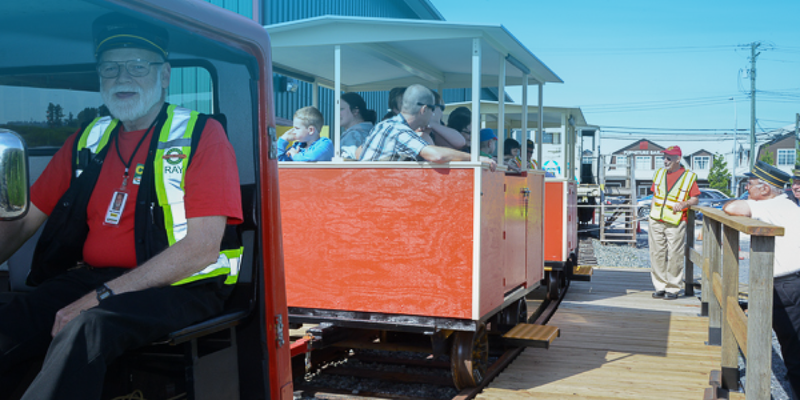 Looking for even more train ride action? Ride the Speeder down the spur! A restored inspection car you can see, touch and ride! Try out the Velocipede for a bit of push and pull. Take a guided tour of the Carbarn and see the restoration process underway. 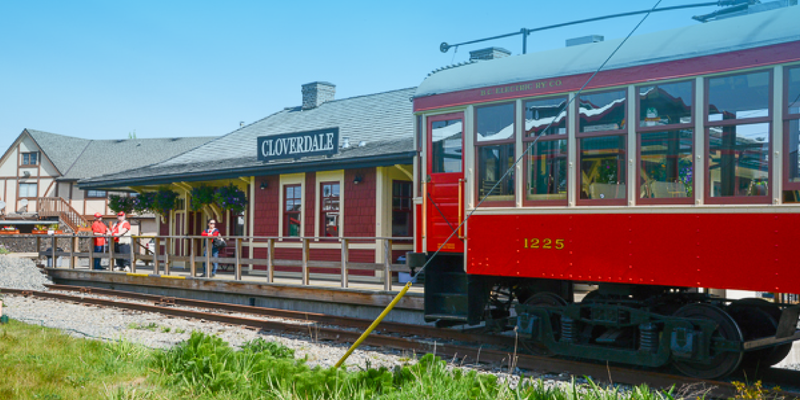 Complete your experience with a visit to our Transit Museum in the replica Cloverdale Station. 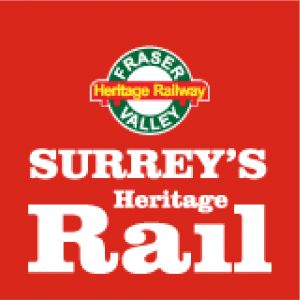 The Fraser Valley Heritage Railway Society has some pretty special neighbours! Check out Our Community page for more information on some of the fine local businesses and civic amenities in the area.